I'll be the first to admit it, I'm not the most creative person in the kitchen. So when I want a good meal, I tend to rely on the 'experts' and their recipes. ;-) Lately, because of having a new little one around, my recipes of choice are something that makes a lot. I am all about left overs people!! Casseroles are the perfect thing for me as they are usually pretty simple, pretty delicious and almost always make more than my family can eat in one night. Perfect! When I saw this recipe for Loaded Potato & Buffalo Chicken Casserole floating around on Facebook, I just knew I had to give it a go. I mean how could I go wrong? Loaded baked potato? Yes, please! And don't even get me started on my love for all things spicy. Then to top it off, smother it in cheese... WINNER!! Now this first step was the one that definitely made me look twice... preheat your oven to 500 degrees... WHAT!! Yup, you read it right, 500 degrees people. 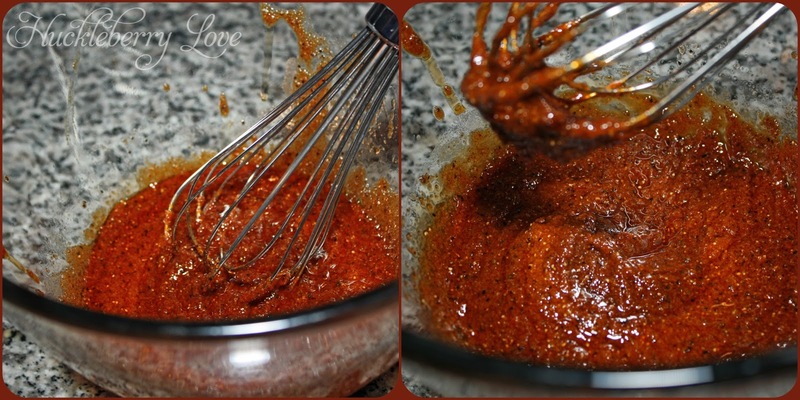 Next, take all of those lovely spices and sauces; the olive oil, salt, pepper, paprika, garlic powder and hot sauce and mix 'em all up in a fairly large bowl. Your potato pieces get thrown next into that same bowl. Stir them up good so they nice and coated with your olive oil/ hot sauce mix. The potatoes get cooked for a bit first so place them into a greased baking dish. When you are putting your potatoes into the dish, scooping them up with a slotted spoon is best so you can leave as much of that sauce mix behind in the bowl. You will need the extra later on for the chicken. Your potatoes now need to cook for about 45-50 minutes or until they are cooked fully through and nice and crispy on the outside. Make sure to stir them up every 10 minutes or so, to help get every side of the potato pieces crisp. 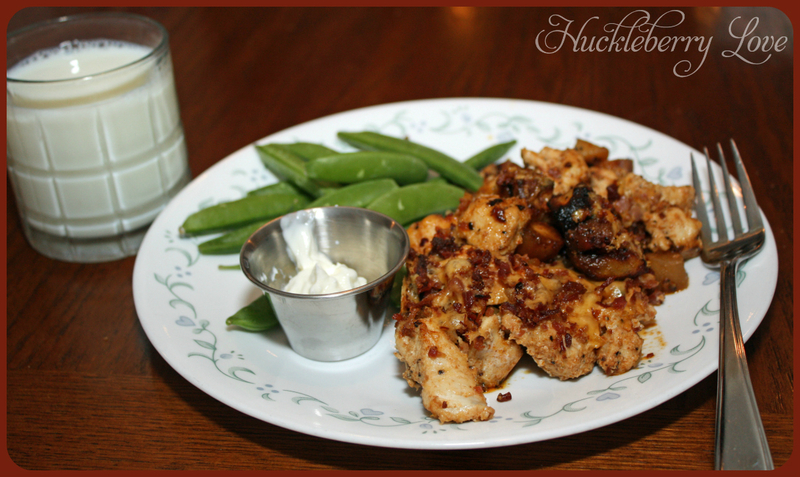 While the potatoes are cooking, coat all of your chicken pieces with your 'left over' sauce mix and let them marinate until the potatoes are done. 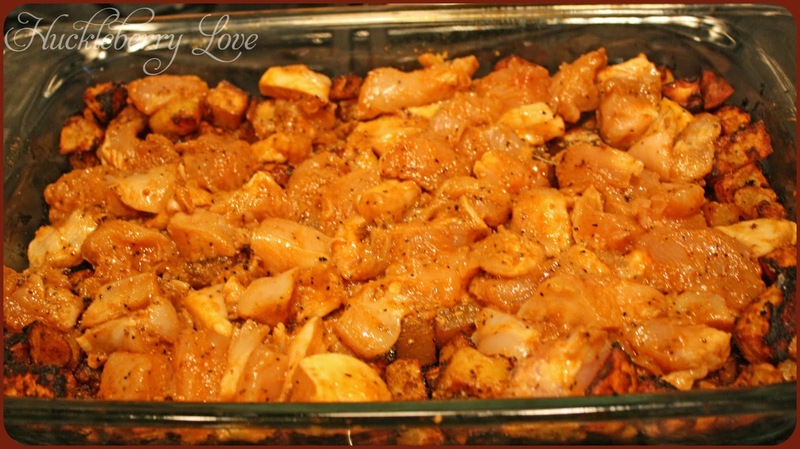 Once your potatoes are done, add your marinated chicken to them. Drop your oven temp down to 400 degrees. 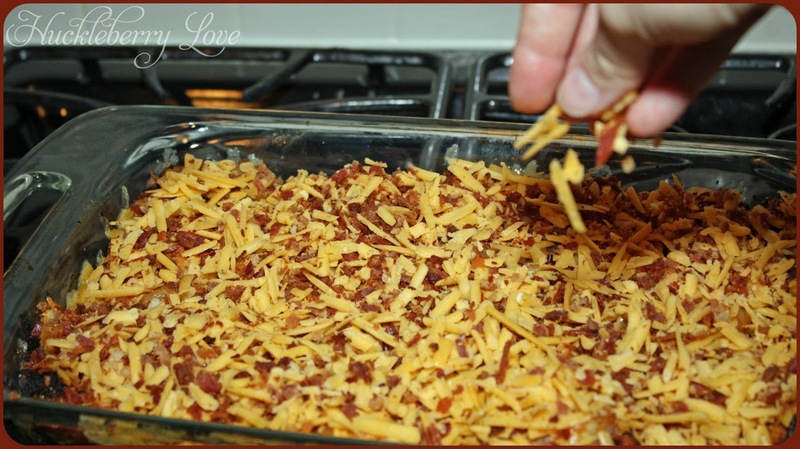 In another bowl mix up your 'topping' ingredients; the cheese, bacon and green onions. Sprinkle it over top of the chicken. Bake your casserole for another 15 minutes or until your chicken is thoroughly cooked and your cheese is melted into a beautiful golden topping. Now there is no need to run out to the store if you don't have this extra ingredient, but if you have any sour cream in the fridge, a little dollop tastes really great with this casserole, and it also helps to tame down the spiciness for those who don't get as excited about sending their taste buds into overdrive. 3. 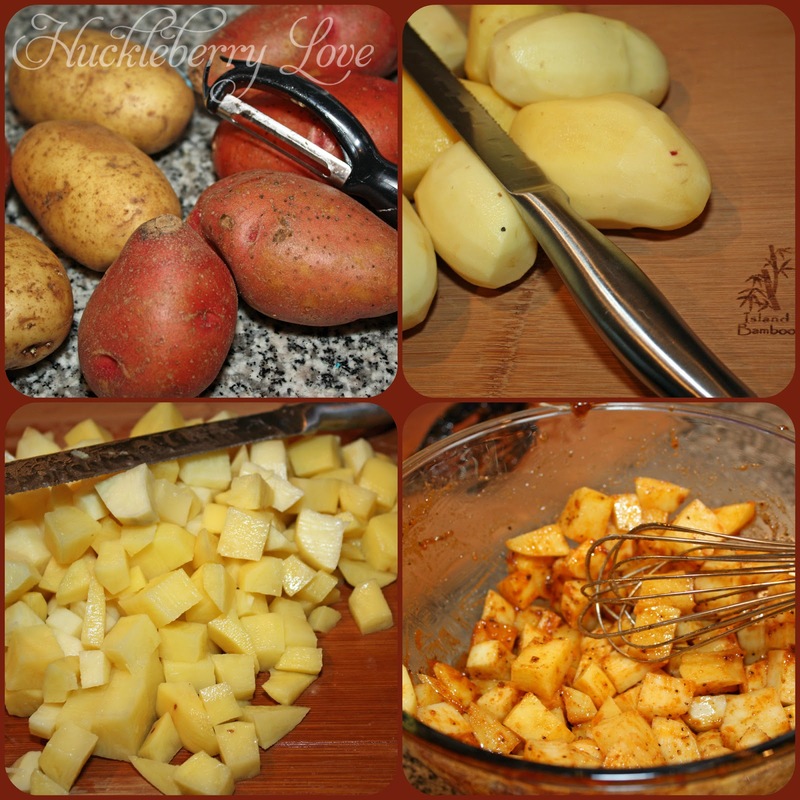 Add the potatoes to your mixture and stir to coat. 4. 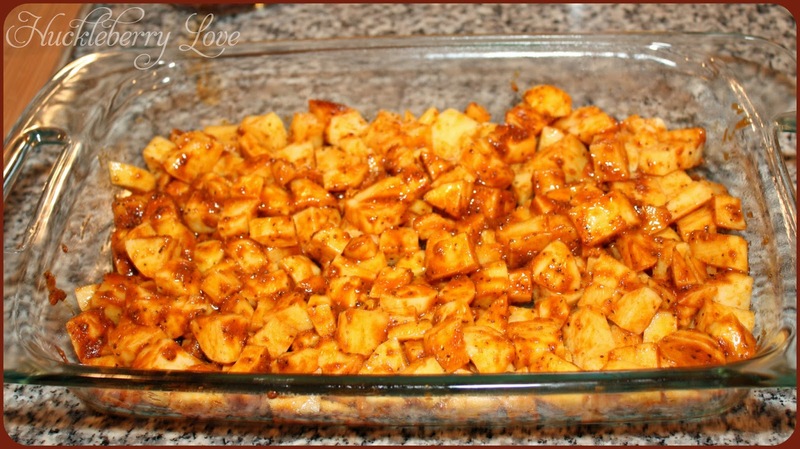 Place potatoes in a greased baking dish, while trying to leave as much of the sauce mixture as possible behind. 5. Bake the potatoes for 45-50 minutes or until potatoes are cooked through and have nice crisp edges. Stir your potatoes every 10 minutes. 6. While the potatoes are baking, add your chicken to the sauce mixture and allow it to marinate until the potatoes are done. 7. Add the marinated chicken to the potatoes once they are done. 8. In another bowl mix together the 'topping' ingredients. 9. 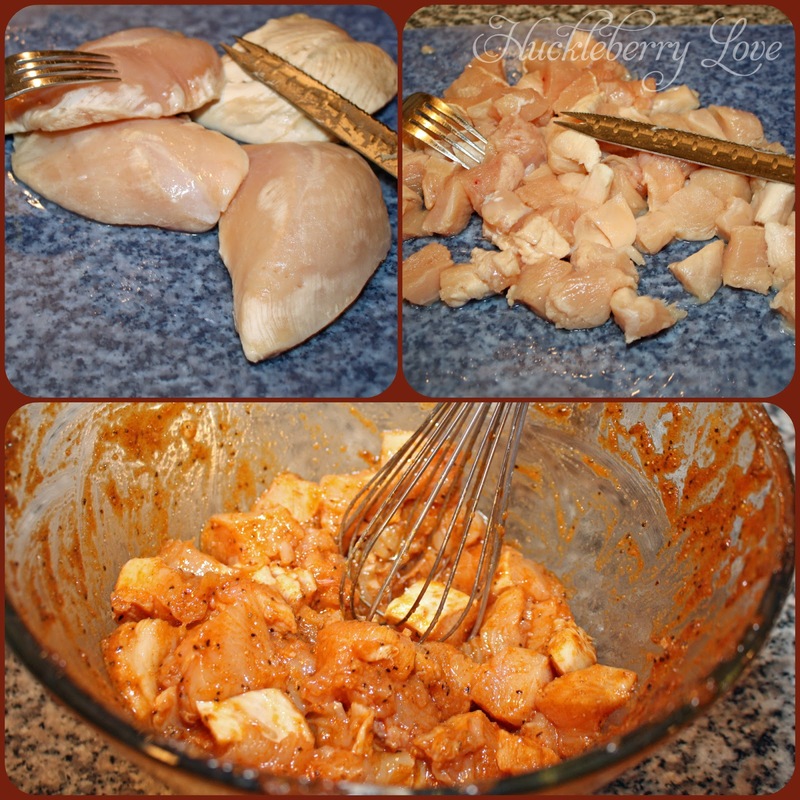 Pour the topping over the raw chicken. 10. 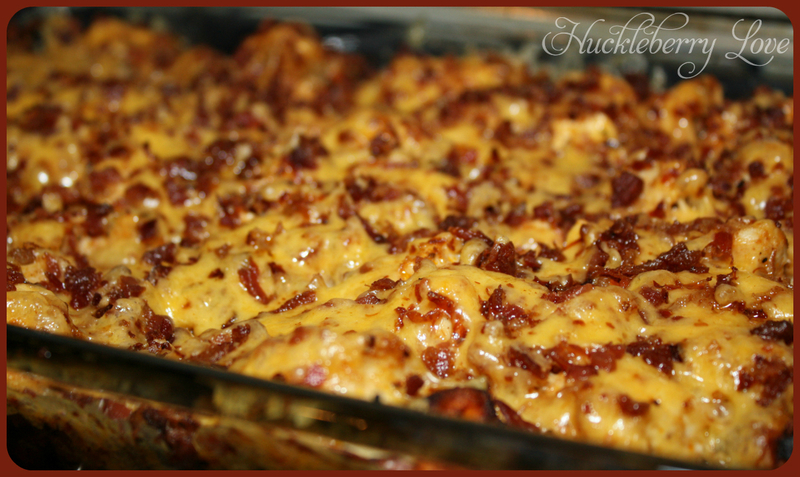 Bake the casserole for 15 minutes or until chicken is fully cooked and cheese topping as bubbly and melted. 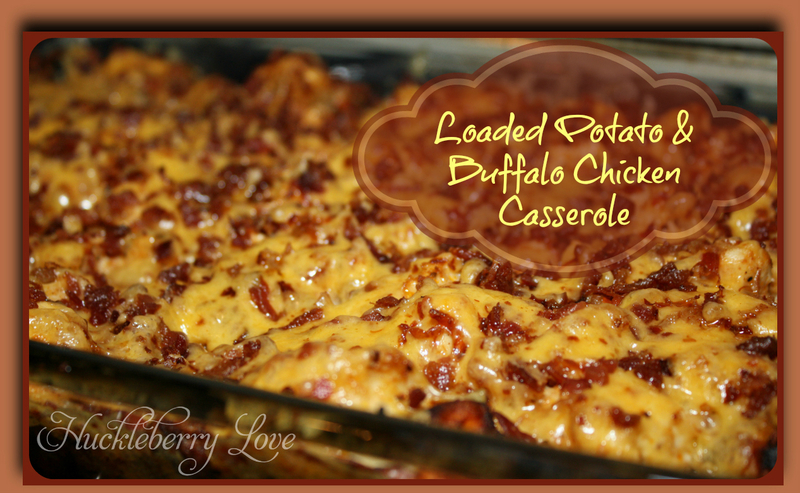 Original recipe for this Loaded Potato & Buffalo Chicken Casserole found here. This sounds yummy. I always like recipes where the ingredients are fresh and not some strange packet mix. A friend gave me this recipe with a bridal shower gift. Love it!